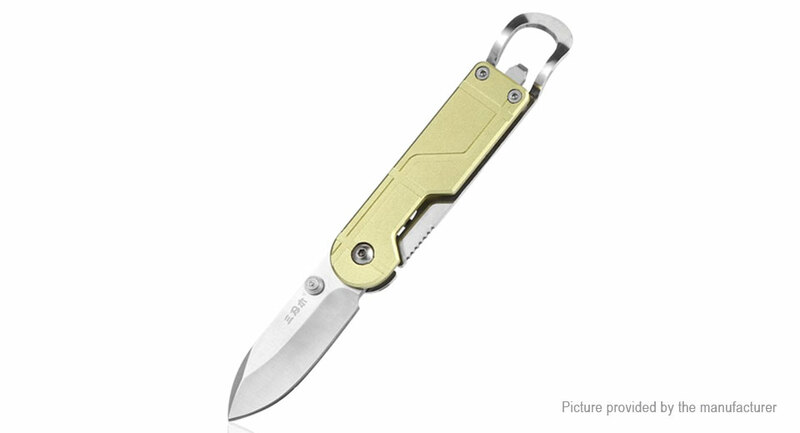 Folding knife with frame lock: This is the folding knife with frame lock, it is perfect for outdoor survival. Bottle opener function: It has the function of bottle opener, you can open the bottle with this knife. High-quality blade material: The blade is made of 8Cr13Mov stainless steel, very sharp and durable to use. Aluminum handle: The handle is damp proof, anti-slip, insulating and oil proof with aluminum material.